Magical trip down the memory lane with a delightful personalised surprise. 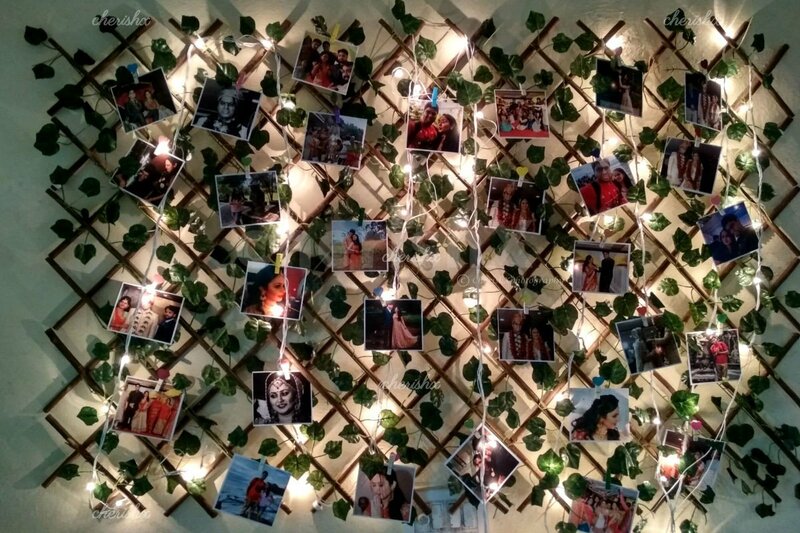 If you want a decoration to show someone how much you love them and special they are in your life, then nothing could be more perfect than collecting all their life memories and getting them displayed in a heart-warming way? Make your loved one's day special, take them down the memory lane with a heart trail leading to all their cherished moments. We will come and set up a web to capture all the pictures and your counterpart’s gaze. This is one of a kind of decoration wherein you can take customizations from the next screen to light up the background of pictures. What else? Add adorable customized cards, balloons, Surplosion Box by CherishX to make it even more special. You can also add messages (such as “I love you”, “happy birthday”) and/or key dates (such as wedding day or day we first met). All you need is to share your digital photos and occasions, and we will help you build a great gift! Once you’ve booked this experience, you will receive a mail with instructions on how you can share your photos.